Two years of uncertainty about the future of Preston Market ended on 8th May when Council leader Peter Rankin and Jonathan Owen of Quarterbridge gave Traders a thumbs-up for the future. Decision to demolish the 1970’s Market Hall and Car Park after structural investigations confirmed rising costs made it impractical to maintain the crumbling concrete building. The Tithebarn project involved converting the Victorian open-sided Covered Market into a new Market Hall but this was abandoned in November 2011 when the anchor tenant, John Lewis opted for Hammersons’ Eastgate development in Leeds instead. Traders welcomed his statement which came after several years of uncertainty about the future. Some 60 businesses trade indoors and on the Covered Market, but following the withdrawal of developers Grosvenor and LendLease from the proposed Tithebarn central area regeneration project it was unclear whether a replacement would ever be constructed. The Tithebarn project involved converting the Victorian open-sided Covered Market into a new Market Hall but this was abandoned in November 2011 when the anchor tenant, John Lewis opted for Hammersons’ Eastgate development in Leeds instead. Since then Preston Council has been exploring ways to replace the Market Hall and re-start the central area regeneration, with most options involving relocating of the Market Hall and releasing it’s site for a mixed-use retail and leisure development. The report was presented by Quarterbridge Director Jonathan Owen who confirmed the current Indoor, Covered and Carboot operation trades under capacity but still has a sustainable future within a catchment of 250,000. Traders heard how most of the relocation options are under Council control and not subject to the type of lease which forced the recent closure of Lancaster Market Hall. The report was supported by a retail catchment analysis which confirmed how the mixture of Indoor, Covered and Carboot operations remains a big attraction to shoppers, with the potential to develop it further. 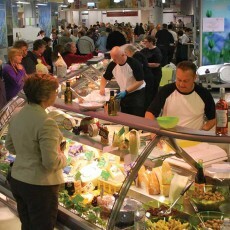 Replacing the Market Hall with a smaller modernised version – sized to maintain the fresh food offer but ensure 100% occupancy. The size to be dependent on a detailed study of Traders space requirements and the relocation options. 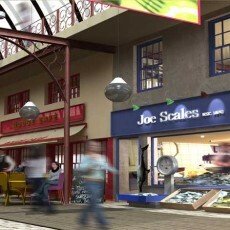 Maintaining continuity of trade by building the new Market Hall before closing the existing building. Incorporating an Anchor footfall attraction and maintaining the winning combination of Indoor, Covered and Carboot. 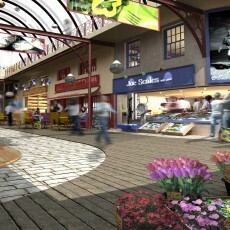 Including a Shoppers’ carpark in the redeveloped Market Hall site. Intensifying use of the Market asset by staging events like Farmers Marts whilst introducing business support through the Federation of Small Businesses. 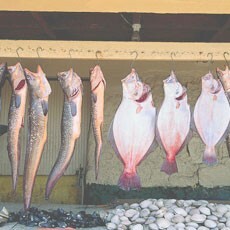 Jonathan Owen said: ‘Our research clearly confirms a varied Market operation is sustainable. Our report represents shows the options the Council need to consider to take things forward’. Responding, Councillor Rankin said: ‘We welcome the Quarterbridge findings and will now consider all the recommendations in detail before taking any further decisions. 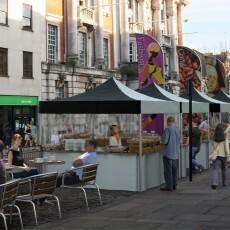 We regard the Markets Quarter as the means to kick-start City centre regeneration and are determined to make the best possible use of the Covered Market canopies which are a huge asset for the City’.